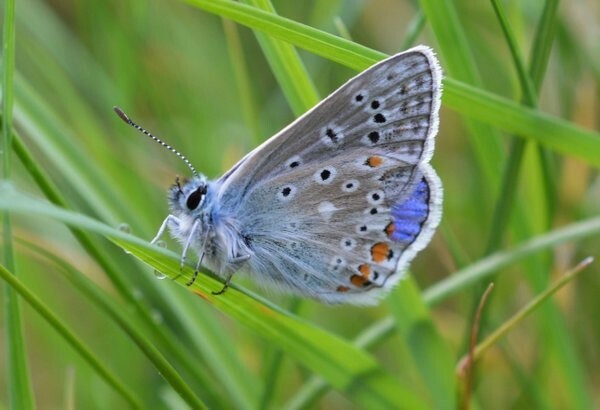 Ireland has three blue butterfly species, the Common Blue (which we’ll be looking at in this post) the Holly Blue and Ireland’s smallest butterfly the aptly named Small Blue. These species are quite distinctive, once you get your eye in, however if you see them in flight or even flick through an ID book you may be thinking that they all look rather alike. 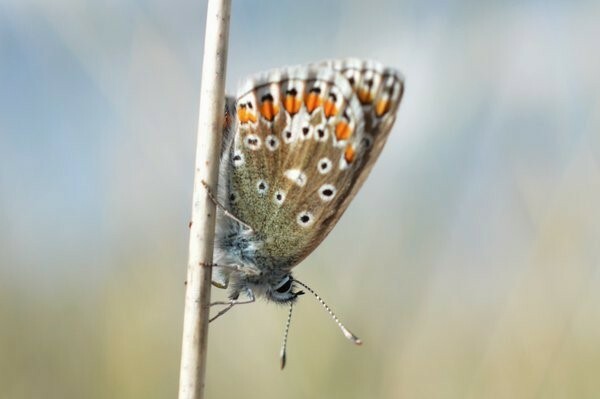 Over the next few weeks I’ll be covering the other two blue species, but this will be mainly focused on the Common Blue. 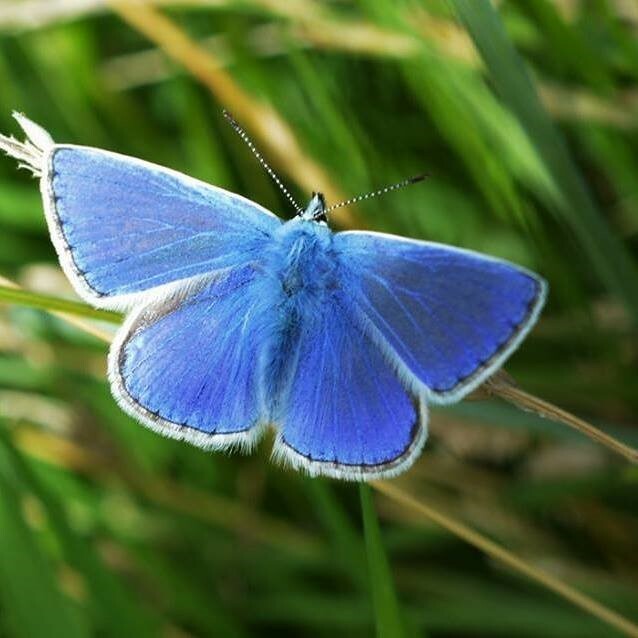 The Common Blue is a beautiful and small butterfly (35mm wing span). This notably is smaller than any of the other species we have looked at so far. 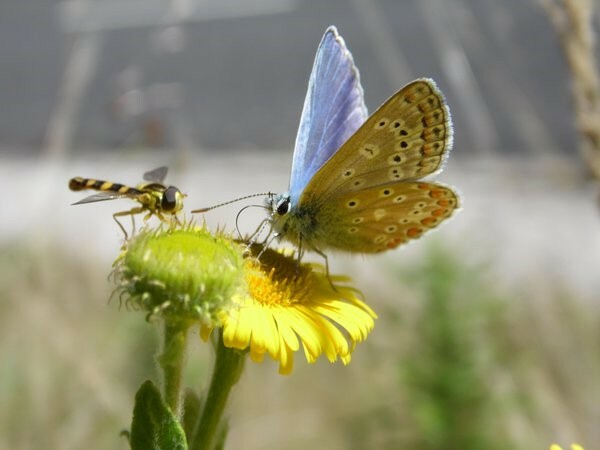 The names for this particular set of blue butterflies is actually quite useful, as the common blue (in my experience) is the most common of the species, the others require looking up and visiting particular sites (I’ll get to those in future weeks). 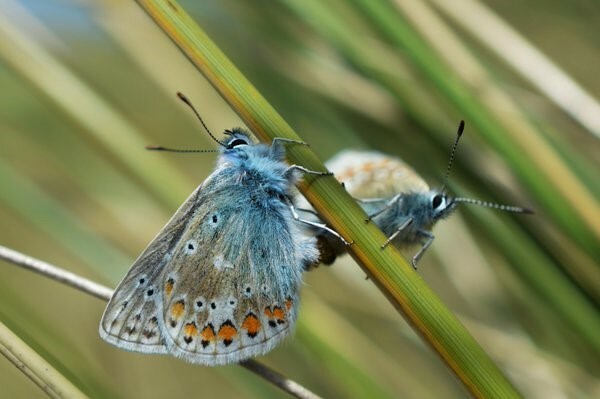 There a great difference between the male and female in this species, the male being blue on the topside, while the female is much more brown in appearance (a small bit of blue is generally present close to the body), but the majority of the wings are brown with orange markings near the edges of the wings. This difference is more subtle on the underside, but the female does appear more brown compared to the silvery/grey of the male. The underside is festooned with markings, some white, some black with white margins and distinctive orange blotches curved around the hind wing, this also extends onto the forewing also, but is very subtle in the male and very strong in the female. The species is generally found in grasslands, but can also turn up in parklands and even wasteground. The larval foodplant of the species is Bird’s-Foot Trefoil (Lotus corniculatus) a common plant in the pea family. 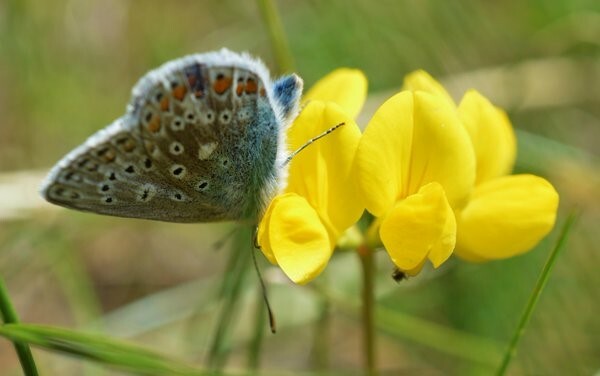 Bird’s Foot Trefoil is also a foodplant for a number of other butterfly species as well as being an excellent food source for other pollinators. Distribution: Throughout most of the country, although there are some gaps (Central North of the country). When: From May all the way through September.